Well not exactly a new life, because the one we have is pretty damn good, but a new look – that’s right, we’ve taken our own advice and updated our brand. The logo we’ve used for well over 20 years which you’d have seen featured in thousands of Television Commercials over the journey has been retired and is now relegated to the annals of history and a new improved version has been unveiled. Of course we’ve kept the forward bouncing ball as the centrepiece as it’s the only way to go for us and our clients. So it’s a new dawn for Resilience with new branding and a new website – exciting!, but you can still expect the same great service levels, great marketing advice and great range of services and products that we are known for. At Resilience we’ve been helping business be seen for over 25 years now. 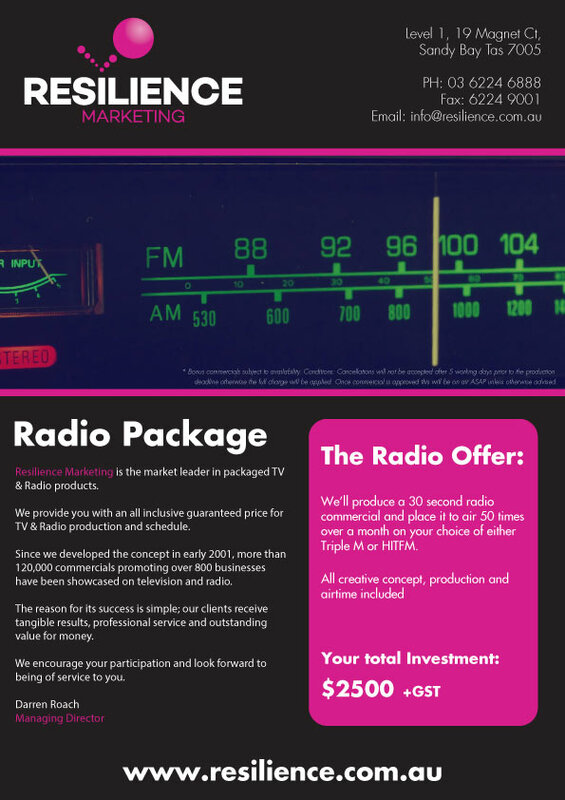 Once synonymous with the Resilience Report, a budget tv advertising and radio advertising package which helped hundreds of Tasmanian businesses showcase their products and services, Resilience helped pioneer cost effective advertising in the Tasmanian market. Hard to believe that the last Resilience Report aired 10 years ago! 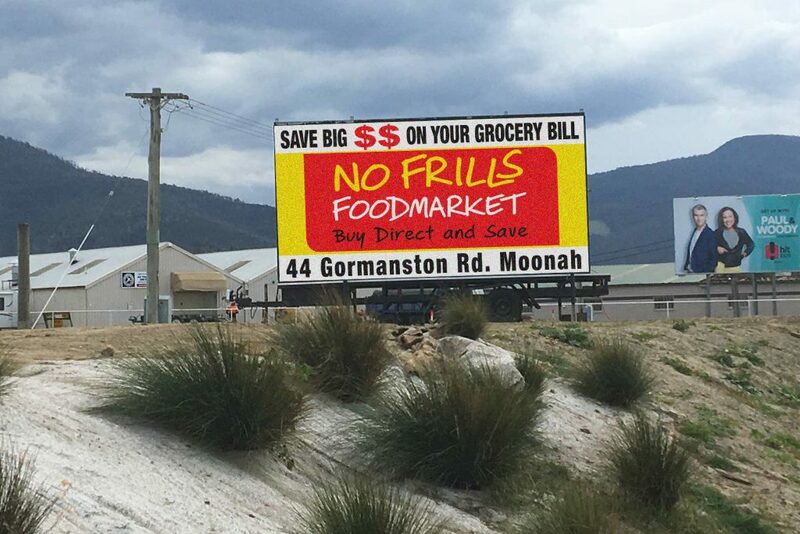 We’re proud of our roots, which made us a household name in Southern Tasmania, but we’ve moved on a bit from those days now. We are all about finding quality solutions to get our client’s message out to the market place and have added many strings to our bow in order to do this. 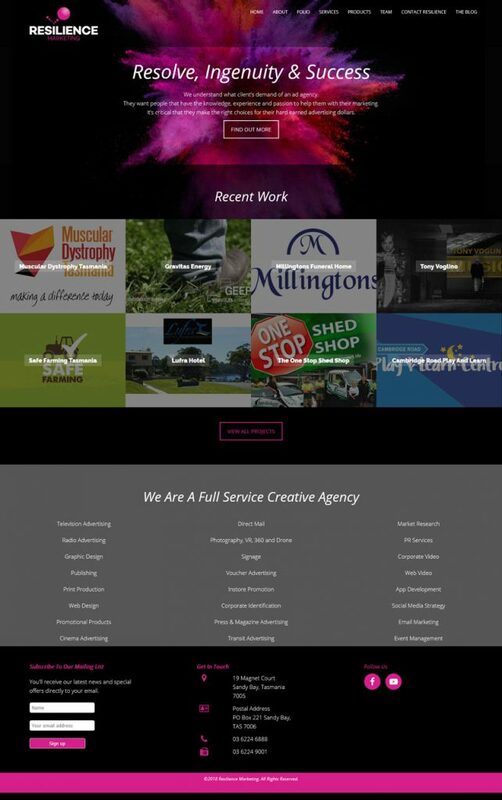 Having evolved into a full service Advertising Agency, we take a consultative approach with our clients to find the best medium or combination of mediums to ensure their brand rises above the pack. We’ve fully embraced web technology and social media and added them to our more traditional electronic media solutions in addition to one of our fastest growing areas, outdoor advertising. 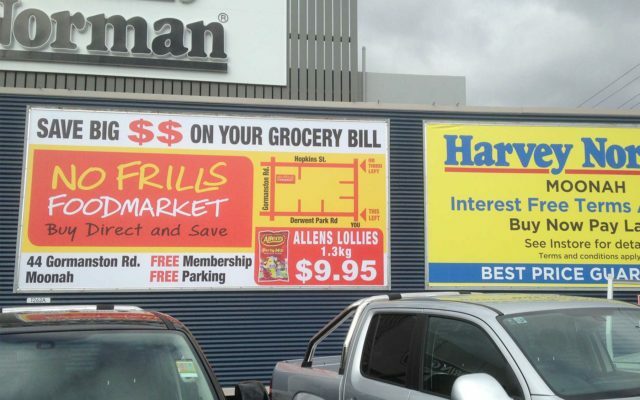 With our superscreen displaying ads 24/7 at the Elwick Showgrounds and the utilisation of traditional billboards we are literally showcasing hundreds of Tasmanian, National and International brands every day to thousands of people. To find out how we can help your business give us a call on 03 6224 6888 or use the contact form on this site. Releasing our inner Rock Gods! Resilience Managing Director, Darren Roach and his wife and fellow Director, Jody attended the WIN TV Aust Connect networking event at Hamilton Island last week as guests of the WIN Network. Apart from the formal events associated with these conferences they also got to let their hair down (literally!) 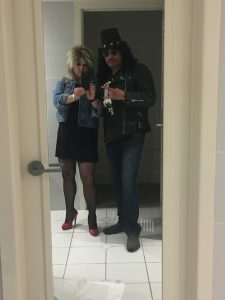 and rock the night away as their alter egos, Slash and Tina Turner. From all accounts everybody had a great night although it may take some time for the Hamilton Island Conference Centre dance floor to recover from a Tina Turner lead all in rendition of the Nutbush City Limits dance! 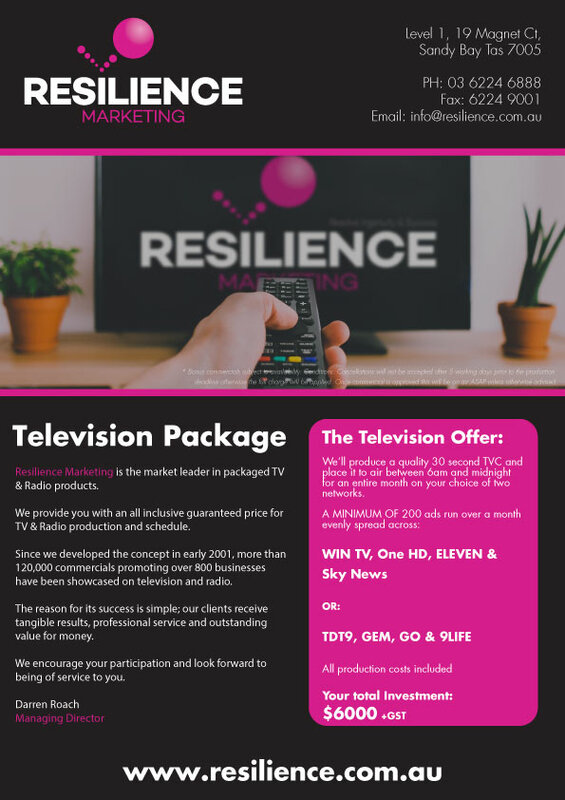 Resilience would like to thank WIN TV for a terrific conference, where many contacts and new business relationships were formed. We are all thrilled to have him joining the team at Resilience as we continue to go from strength to strength! And the winner of the Saffron Competition is…. Congratulations Angela, We’ll be in touch very soon with your prize voucher. Thanks to all that entered, we’ll be giving you more opportunities to win some great prizes over the coming months. Some of Hobart’s Best Indian Food On Us! To Enter head over to our facebook page, like and share our page before 31st July 2016 and you’ll be in the running for an Indian Feast valued up $150 to at the Saffron Waterfront Restaurant. Winner drawn and notified on 1st August 2016. Resilience Marketing would like to wish everyone a safe and happy Christmas and New Year.